Back in the day, month end reports consisted of a income statement, balance sheet, and maybe a cash flow statement. These are the three statements that made up your financial statements for month end reporting. As technology advanced and people got smarter about tracking trends, analysis, and operations today, the month end report includes much more. In this week’s blog, I answer the question, what should your month end reports contain?. We should not think of the month end report as just your financial statements. Just as the role of the accounting department and the role of the CFO continues to evolve, so should the month end report. The month end report should be a management report that captures key data that will be used to make decisions and drive the business. It should include much more than just your financial statements. In today’s world, the CFO does so much more that count beans. They add real value to the company. Learn about the 5 Ways a CFO Adds Value. The month end report should include the financial statements. But they should also include operational data, metrics, and dashboards that are both usable and meaningful. Remember, whatever data is provided should be used to make decisions. I would argue that the above list is the bare minimum for month end reporting. Depending on your organization, you may have many other indicators that must be tracked at month end. Having the right indicators will help you make better decisions and add real value to the firm. Access our 5 Ways a CFO Adds Value whitepaper to learn add value in 5 simple steps. Be careful though… Providing meaningful useful information at month end does not mean overkill with useless data. Time and time again I see businesses adopt dashboards and metrics, but they go to the other extreme and enter into analysis paralysis. What should your month end reports contain? Not so much that there is an overload of information that cannot be used effectively or at all. Allow me to give you an example… If you manufacture valves, your revenue is $10 million per month, and your related EBITDA per month is $1.5 million, then does it really make sense to track an expense line item that is $500? I would argue no. It costs you more time and money to track that item individually. If you do track it, then having that data will not lead to big decisions that are meaningful. All expenses and revenue line items are important, but that does not mean you need to track and analyze every penny. If you are a huge company and have a very expensive system that does all this automatically, then good for you. There is a famous quote that I have used before, “a small leak sinks great ships.” I truly believe that. We do not want to have a small expense item that over time is a problem. But this blog is intended for your standard monthly close reporting and assumes you have your business in order so that you capture and put a stop to those small leaks. The month end report should not be a binder 4 inches thick. The ideal financial report at month end should be one that the executive team can review in one hour and get a good feel for where the company is and where it is going. This will vary from company to company. In general, the report should be detailed enough to capture the most important items to make decisions, but condense enough so the management team does not spend a full day reading a large binder. Again, this will vary company to company. Some CEOs want the large binder, and that’s fine. Follow your CEO’s request. The CFO and the accounting department are responsible for gathering this data working hand in hand with the operations. That is why I preach that a good CFO is actually someone that has a very good understanding of the operation. The Controller should also be someone that understands the operation. Furthermore, the CFO and the Controller should understand both the operation and the operating metrics. The CFO must full understand and interpret the operating dashboards and metrics before this information is passed on to the CEO. When a CFO has a good understanding of the entire business, they are able to be more effective in their role. Learn about the 5 Ways a CFO Adds Value to take your role to the next level. If you want to add more value to your company, creating a great month end report is a good start. Learn 5 other ways to add value as a CFO with our 5 Ways a CFO Adds Value whitepaper. Timely close of the financial records – this is a topic every company needs to address. Whether you are a publicly traded or private company, the issue of closing the books is ongoing. Publicly traded companies usually have well established processes in place to meet the deadlines imposed on by the regulators. However, closely held businesses often struggle with this process. We see many clients that tell us it takes them weeks, if not months, to close the books and produce financial statements. This blog will discuss why it is important to close you accounting records as soon as possible. In addition, we will provide some tips on improving your financial close. Why is it so important to close your books timely and generate financial statements? The executive team of the company must run the business, and there is no other way to run your business than to have timely and reliable financial statements. I have met business owners that own a company with over $100 mm in revenue and no financial statements. They literally used a check book and online banking to check cash balances, pay down outstanding balances, etc. When I asked the business owner how he knows what his margins are and how he can run his business, his response was he has a“gut feeling”. I get that, and in a sector with high margins and strong cash flow, I can see where an owner gets confident about the amount of cash he pulls from the business monthly and stuffing his pockets. But that “gut feeling” will not help you when the market or economy turns. And it will one day. A gut feeling cannot be measured or tracked. Fortunately, you can track your key performance indicators (KPIs.) 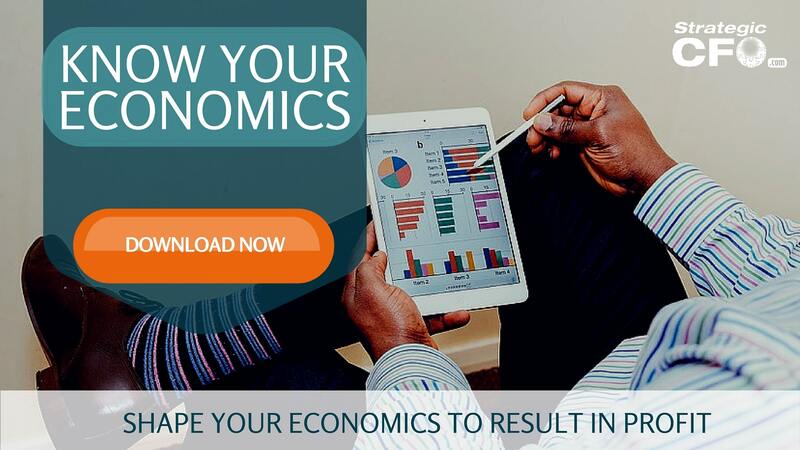 Click here to discover your KPIs. In a well run company, the decision makers must know how the business is performing by looking at the historical data. Historical data includes last month’s financials and even the trailing 12 months. With that information, the decision maker will apply his management skills and look at forecasts, then make executive decisions of what to do. The sooner the decision maker has the financial data, the quicker he can make a decision. How quick can you close the books? What is the right number of days to close the books? Well, it depends on many things. Certainly more than 10 days after the last day of the month is too long for me. I have always said that a well run company with the correct process and systems in place should be able to close the books any day of the month. Now with that said, the closer to the end of the month the more accurate the numbers will be because you limit the use of accruals to only a day or two. I would not suggest that it is okay to close your books too early. But your business should be able to start the close process a day or two before the last day of the month and have financial statements by the 5th day of the following month. If your financial records are delayed by days or even months, then it will be more difficult to make any decision. Start tracking your KPIs as you close your books more timely with our KPI Discovery Cheatsheet. There is simply no excuse to delay the accounting close and generation of financial statements. Having the financial reports completed timely and analyzed before they are turned into the decision makers of the business will make your company a much better company. When you close your financial records or books in a timely manner, you are able to make better decisions. In addition, monitoring your key performance indicators will help you to make better decisions. Need help discovering the KPIs you should be monitoring? Access our KPI Discovery Cheatsheet and start tracking your KPIs today! Why use a 13-Week Cash Flow Report as a management tool? Cash is king! This applies to any and all companies. No matter the size or industry, cash and cash flow are critical to any operation. Yes, some companies have access to lines of credit and other forms of financing, but that is debt that must be repaid at some point. So if cash is so important, then why do not all companies use a rolling 13-week cash flow forecast? We have had many clients over the years. And some, but not all, use a 13-week cash flow report as a management tool that is updated every week. Once the process is started, it is actually a fairly easy tool to keep updated. Cash is critical to a company’s success. Click here to access our 25 Ways to Improve Cash Flow whitepaper and start improving cash flow today. The first thing we do with every client is to make sure they establish a 13-week cash flow forecast if they do not already have one. And usually, the first thing we are told by someone at the client office is “our business is special, forecasting when we collect cash is almost impossible to predict”. I hear this way to often and you know, we have never failed at implementing a 13 week cash flow forecast. The 13-week cash flow report is not meant to me an exact measure of what cash balance will be at the end of every week. On the contrary, it is a forecast. That means the actual results will be different from your forecast, especially in the later weeks. But what the cash flow forecast does tell you is your trend for ending cash balances. It actually does give you an estimate of what your cash balances will be. It is true that weeks 1,2 and 3 forecast are more accurate than weeks 11, 12 and 13. But it does not take away that it provides some visibility as to where cash will end up. The 13-week cash flow forecast is useful to a company that is financial distress and to a company that is flush with cash. That is because a company that is in financial distress must be able to determine what costs they need to cut in order to achieve a cash neutral position. A company that is cash rich, needs to know how flush they will be with cash to project things like capital expenditures or shareholder distributions. Either way, the company must have an idea of where they will be over the next 13 weeks. Why 13 weeks? Because that captures an entire 3 months, one full quarter. Being able to have an idea of where you want from a cash position in the next 3 months allows time for planning and decision making. Do you need help putting together your 13-week cash flow report? Access our template and how to use it (and so much more) in our SCFO Lab. 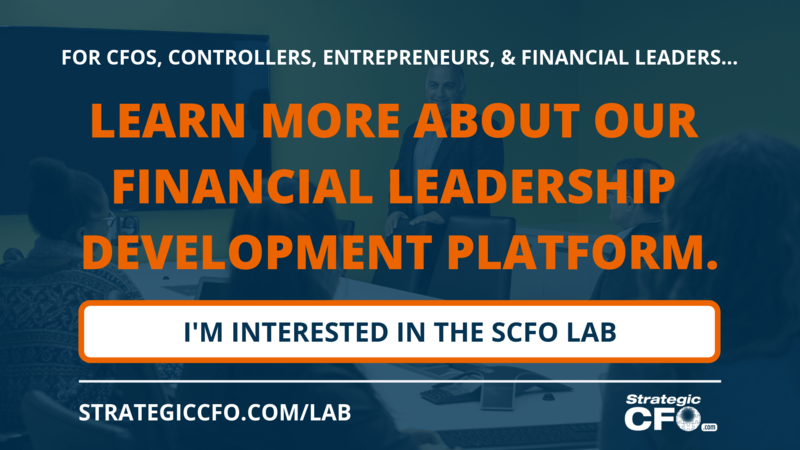 Learn more about the SCFO Lab here. It is interesting how many times we have implemented a 13 week cash flow forecast, then we look into why the cash actually collected is way off in weeks 1,2 and 3. Then we dig and find out that the actual cash collection process is poor or non-existent. I was part of a Chapter 11 bankruptcy process a couple years ago. The first thing we did was implement a 13 week cash flow forecast. This is something any CRO would do. When asked about cash collections, the CEO told me that the sales team (7 people) handle collections with their respective client relationships. When we were way off on week 1 and 2, I asked the sales people why we are off? What are they doing to follow up on late accounts receivable (A/R)? The response from everyone on the sales team was that they do not handle calling to collect invoices and outstanding A/R. They stated that the accountant makes those calls and follows up with old A/R. When I asked the accountant, she said the sales guys collect old A/R. No one was following up with collections of old A/R. I initiated a daily phone call with all the sales people and assigned clients to call on and follow up on old A/R. We started with daily calls. And we saw some progress, then we went to every other day, then weekly calls. Over then next 5 weeks the company collected $2.7 of $3.2 million dollars in old AR. So How Do You Start Using a 13-Week Cash Flow Report? Create a template that has a direct method cash flow statement. On a weekly basis, pull A/R and A/P from your accounting system. Then link the individual items to the line items in the cash flow forecast. Don’t forget payroll totals. Include a section below operations for CAPEX activities and another section for Financing Activities. Have one person in your accounting department responsible for updating the 13-week cash flow forecast weekly. Make sure you have a dedicated person/people follow up on collections. Compare the forecast for each week to the actual cash collections and cash payments – note variances. Then adjust how you forecast. It is that simple! This tool will buy you peace of mind and allow you to have insight on your cash trends. You need to know this no matter the size of your company or your industry. Do not get frustrated; your first 3-4 weeks are a learning process. Your forecast WILL be off. Make adjustments and understand your variances. Before you know it, you will have a good feel for what your cash trends are. If you are strapped for cash now, click here to access our 25 Ways to Improve Cash Flow whitepaper. Make a big impact on your company today with this simple checklist. First, what is a flash report? We have defined Flash Reports (or financial dashboard report) as “periodic snapshot(s) of key financial and operational data.” It measures three factors in your company, that include liquidity, productivity, and profitability. Unlike what sales and operational leaders typically think about accounting, this tool is supposed to guide them with the numbers. In addition, the numbers from flash reports aren’t going to be a 100% accurate. But if they are 80-90% accurate, then they are accurate enough for the management to make decisions. Flash reports have changed how financial leaders lead the rest of their team. It’s just one of the ways that you could be more effective in your role. If you want to learn more, click here to access our free 7 Habits of Highly Effective CFOs. Stereotypically, an accountant or someone with accounting/finance background is a numbers cruncher. They want to look at all of the numbers and want the management team to also get excited about every number. In reality, there is not enough time to focus on every number. Instead, you should be looking specifically at 6-8 numbers that drive your business. We call them your key performance indicators or KPIs. Anyone in your company should be able to look at your flash report (a one-page report) to assess what the KPIs are doing. Not just anyone in accounting cannot create a flash report… It would quickly get out of control because there are so many angles, numbers, and perspectives that you could interpret the data from. Unfortunately, there is not enough time in the day to look at all the data. It would take forever for management to look at all the information and make a decision. We know there is an art to be a financial leader. There is also an art to creating flash reports or dashboard reports. The goal is for the flash report to be prepared and completed within 30 minutes. It should cover a week’s data for the company to quickly pivot or adjust if need be. For a flash report to be a game changer, you have to set it up correctly the first time. Prepare a flash report by producing the following sections in consecutive order. First, the financial leader (CFO/Controller) needs to meet the owner or executive leaders to come up with some metrics for the productivity section. Both finance and operations need to be involved in this conversation because this section is what sets up the next two sections. You will know you have succeed when you have an indication of the key performance metrics of your company. These metrics also connect operations to the financial performance of the company. It’s an accountability partner. If you are looking to improve productivity in your company, then click here to read about our insights on how to do it. Remove some of the barriers between departments in your company to increase your value to the company. To learn more how you can be effective, click here to download our 7 Habits of Highly Effective CFOs. When you prepare a flash report, this section is where your CEO is going to look at first. It’s the pulse of the company because it tells them how much the company is generating cash (or not generating cash). The cash situation is often the first issue we discuss with consulting clients. Unfortunately, we find a lot of companies are not able to tell you if they have enough money to pay the bills and keep the lights on. Remember, cash is king. This is going to be accounting’s favorite section because it deals with what they focus on! The reason why you need to produce it last is because it needs to connect with the rest of the business. It should give management a rough idea of how much money they made during a given period. You will need to have a good understanding of your accruals if you are going to provide profitability in as part of the flash report. Remember, timeliness is more important than accuracy in this flash report. There’s a reason why it’s called a flash report! Furthermore, management needs to focus on how the trends change over time. Flash reports are a game changer in the business world because it pushes companies to break down barriers in the business. We frequently say that CFOs and the financial leader of a company should walk around the office/warehouse and talk with sales managers, warehouse workers, operations managers, etc. Financial leaders need to get out of accounting so that they can lead financially. But the same goes for operations and sales persons. It may not be exciting, but they need to visit accounting. This past week, we hosted a live webinar for those operations employees that were promoted to a P&L Leader. They were great at their job, but now they manage an entire department/division/etc. So, we touched on how they should be using flash reports as they manage their operation. Anyone in your company can be a financial leader. You just have to have the right tools, and flash reports are a great way to start. Your flash report should be a living, breathing document that your business uses. As a result, we wanted to share some time for monitoring your business as you move forward with your flash report. Include the 3 most recent historical periods in addition to the current period in the flash report. 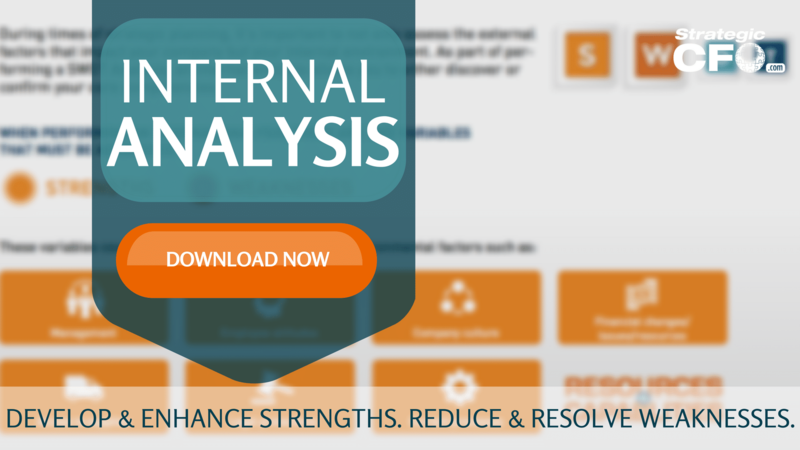 This allows you to analyze trends in the same document. Have your entire management team agree to commit to the document. You may need to adjust it as time goes on, and that’s okay. Review weekly with your management. During these meetings, it may be useful to convert the sections into graphs so that the non-accountants can see what the numbers are communicating. Producing a flash report is just one of many ways to be highly effective as a financial leader. Download the free 7 Habits of Highly Effective CFOs to find out how you can become a more valuable financial leader. Let your flash reports be a game changer in your business!